MLeaderEdit: Use this command to add or remove leader lines from multileader objects. You’ll find each of those functions on the Multileader drop-down list. 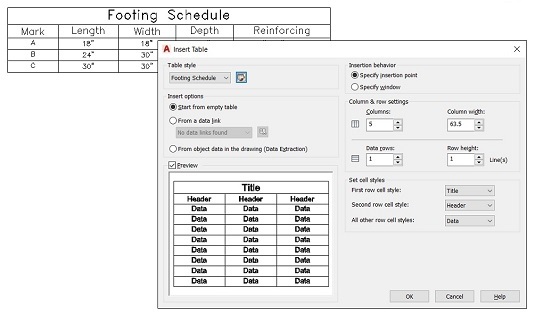 MLeaderStyle: Multileaders, like text and dimensions, are formatted according to named styles. To display the Multileader Style Manager dialog box, click Multileader Style on the Home tab’s Annotation slideout. MLeaderAlign: A tedious chore in earlier AutoCAD versions was making all the leaders line up by using a construction line and then using object snaps to move common points on the leaders to the construction line. To line up multileaders, choose Align from the Multileader drop-down list. MLeaderCollect: Multileaders can contain blocks as well as text. Choose Collect from the Multileader drop-down list to gather a group of leaders containing blocks; they’ll rearrange themselves as a single multileader containing the multiple blocks. For more information on any of these commands, look them up by name in the Command Reference section of the online help system. Multileaders and multileader styles can be annotative or non-annotative. Making them annotative and assigning appropriate annotation scales is a huge timesaver for creating them initially and for creating detail views at different scales.